Craigslist - the free online classifieds giant - made some pretty massive changes to their posting policies this month. As an agent, it's important that you know what these changes are and how they affect your marketing strategy. This post will tell you everything you need to know about the new posting rules. Craigslist is no longer allowing posts that include HTML to be published in the Housing and For Sale sections of their website. 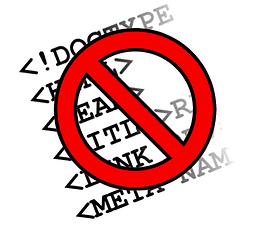 You can still submit an HTML post, but their system will strip out all of the code. That means any formatting, links and photos that you have in your post that are called to via HTML will not render properly. 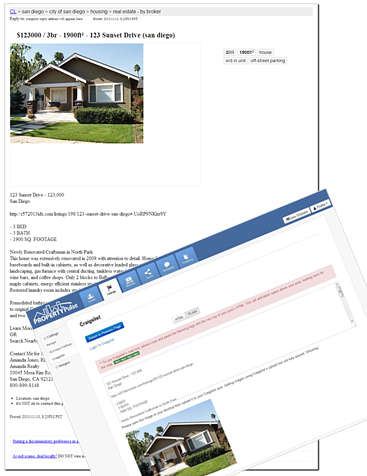 It's best to post a plain text listing and use the Craigslist photo uploader to add your listings to their site. Craigslist has been implementing a slow roll-out over the past several weeks - putting the changes in to place on a market by market basis. However, as of November 5, 2013 - these changes are now enforced in all markets. If you are a Z57 client and you use our Craigslist posting tool - you can work around these changes by copying and pasting the plain text version of the ad to craigslist. Our system also makes it easy for you to save images to your desktop so you can add them via the Craigslist photo uploading tool. While this is not an ideal situation for agents since it takes away some of the valuable functionality of posting formatted listings on Craigslist, the good news is that the change is universal so it will affect all craigslist users in the same way and will level the playing field. The main message here is don't be discouraged - though different, change is not always bad! Why did Craigslist make these changes? Craigslist has made big strides in enhancing their website to become more mobile friendly. Often times, posts with a significant amount of HTML formatting and external images are not friendly mobile viewing. Craigslist is working to achieve a more consistent design and interface across all posting categories.